Full zip vest with TC logo available in black heather, with UPF 50+ sun protection, 91% polyester and 9% Spandex, machine wash cold on delicate, hang dry only and cool iron if needed. Please select option for Adidas Ladies Club Vest. Support Taft College Athletics with a black or white Adidas logo polo. 93% polyester and 7% Elastane, with UPF 50+ for sun protection, flat - knit rib collar, tonal 3 stripe detail on upper back neck. 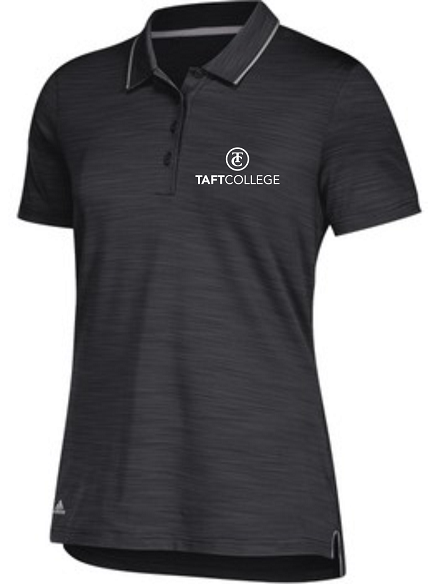 Please select option for Adidas Women’s Taft College Ultimate Polo. Burnt style racerback tank is available in purple and black, 65% polyester and 35% cotton. Machine wash cold and dry flat. Please select option for Ladies Carpe Diem Racerback Tank. Taft College v-neck polo with gold side blocking, micro pique sport-wick fabric by Sport-Tek. 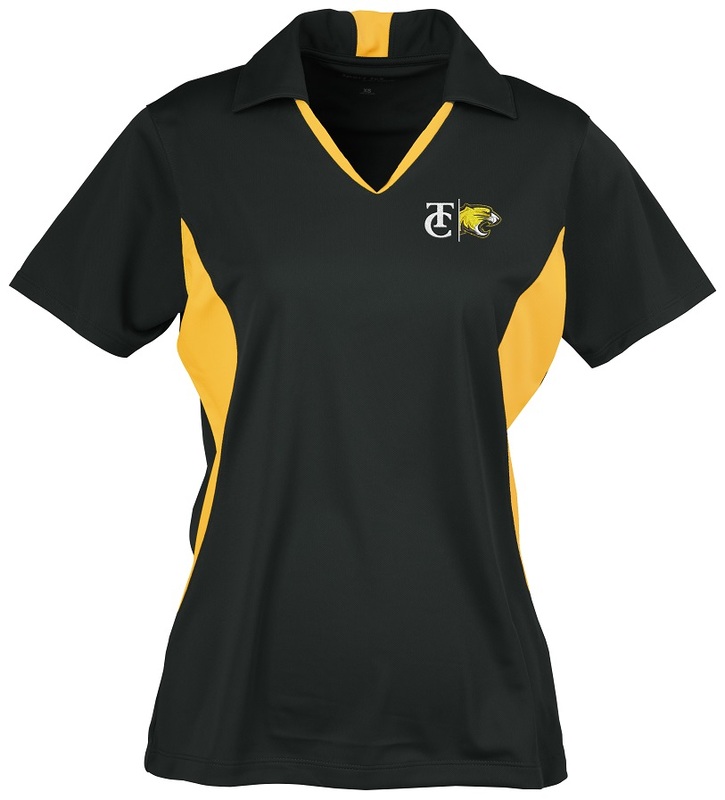 Please select option for TC Ladies’ Black and Gold Polo. This garment washed jersey is available in mint and coral, 100% cotton. Machine wash cold, tumble dry low and cool iron if needed. Please select option for Womens Taft College Game Day Jersey. This triblend tee is available in smoke and magenta. 35% polyester, Short sleeve tee is 35% rayon and 30% cotton, machine wash cold and tumble dry low. 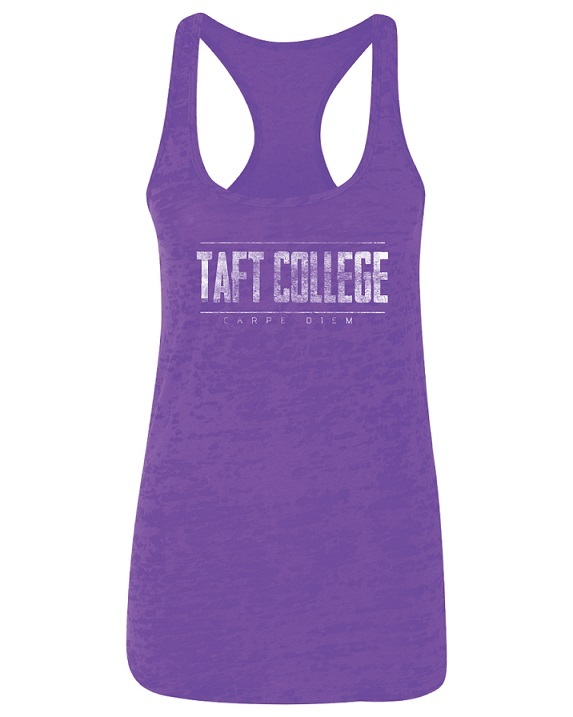 Please select option for Womens Taft College Tee. machine wash cold, tumble dry low, cool iron if needed. 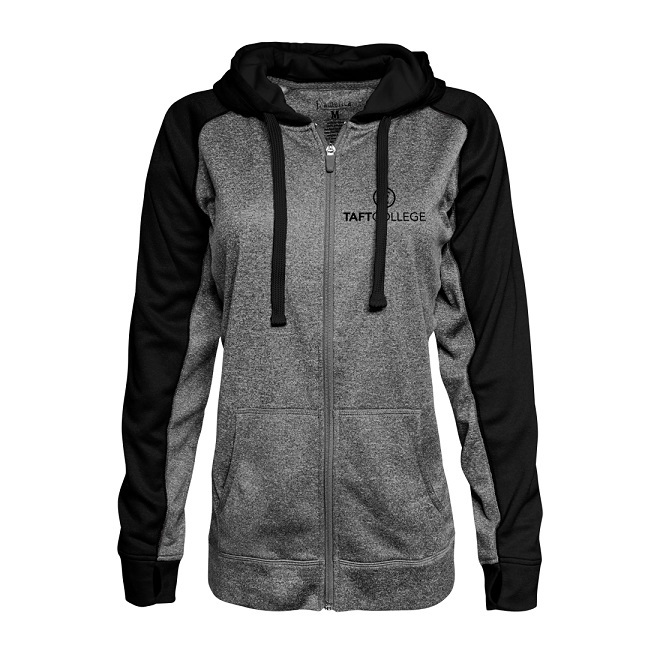 Please select option for Women's TC Full Zip Hood Jacket.